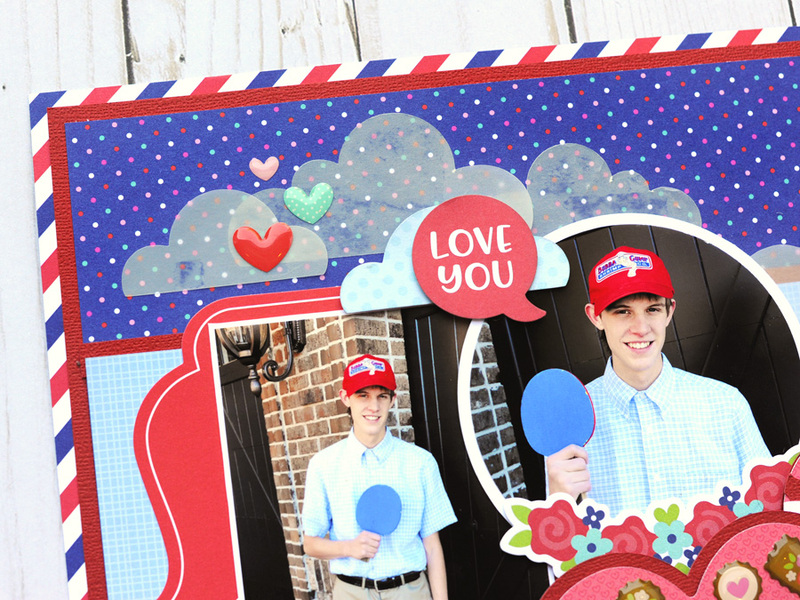 Like most people, I have a deep weakness for chocolate, so of course I love all of the adorable images of chocolates in the French Kiss collection! A couple of years ago my son went to a high school Halloween Dance with his date dressed as Forrest Gump and Jenny. 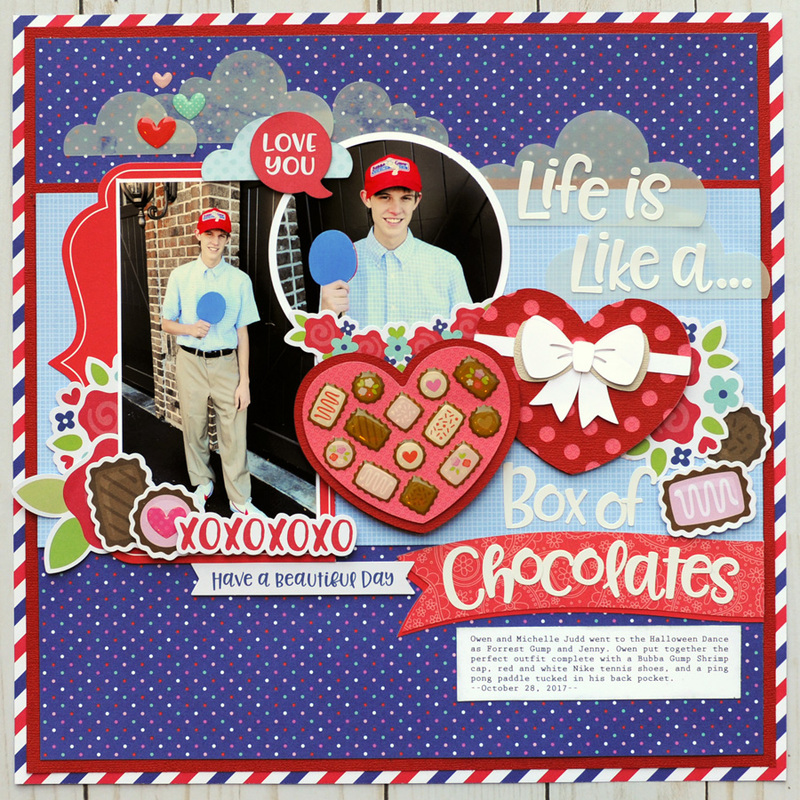 I took these cute pictures of him before he left and decided to use the Chocolate Box Shape Sprinkles and the Box of Chocolates digital cut file to recreate a larger version of the Sweetheart Doodlepop sticker from the collection. I used the Lily White Abigail Letter Stickers to spell out my title. I placed the top half of the title on vellum clouds created with the Clouds cut file. 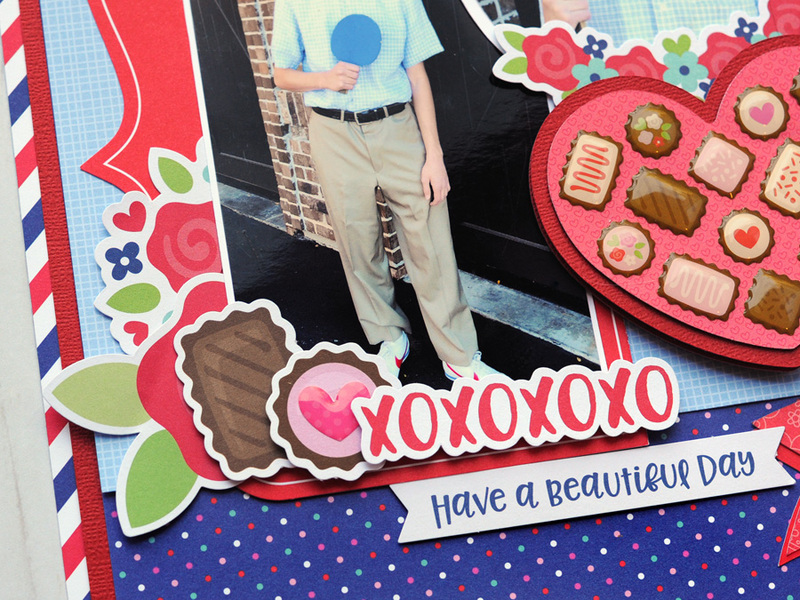 I resized and reproportioned the banner from the Boy In Airplane cut file to house the word "chocolate." 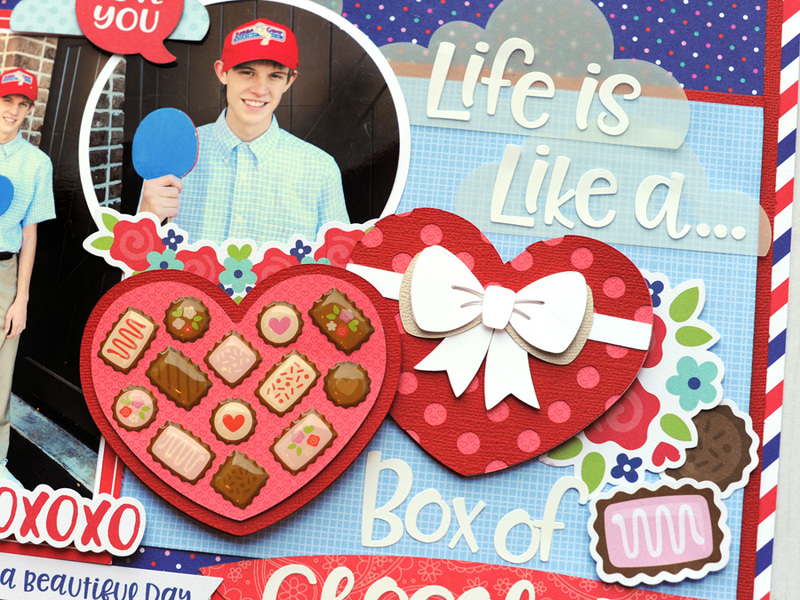 I added more vellum clouds to the top of the layout along with a few Heartthrob Shape Sprinkles. So cute! 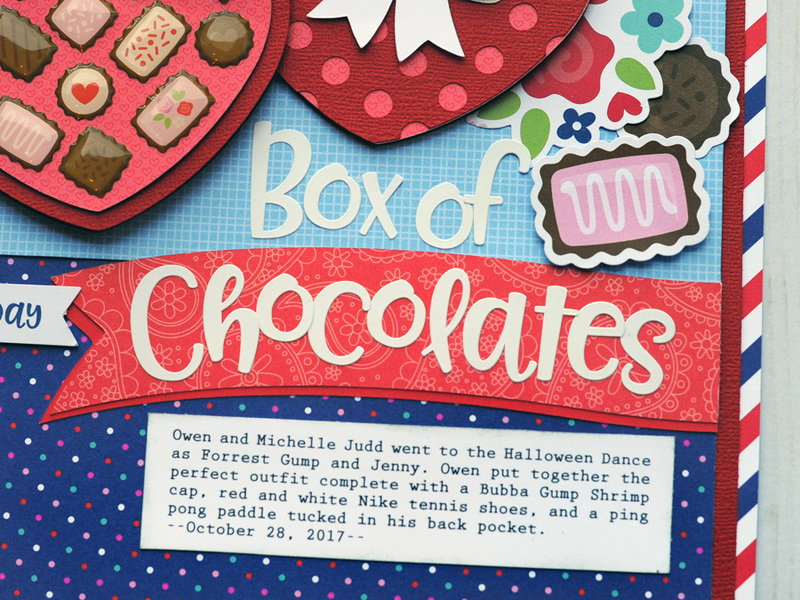 I absolutely adore whoever you made that chocolate box!!! Genius!